The Pittsburgh Steelers travel to Ohio to take on the Cleveland Browns at FirstEnergy Stadium to kick off their 2018 NFL season. The Browns are looking to break their 17-game losing streak and earn their first week 1 win since 2004. In fact, since 1995, the Browns are just 1-19 in season openers. The Steelers begin their current campaign with starting running back Le’Veon Bell holding out over a contract dispute that still looks to have no end in sight. Either way, with or without Bell it will be important for the Steelers to go out there and keep their offense on pace. They need to avoid the temptation of trying to emphasize the run just to prove to Bell that they don’t need him. 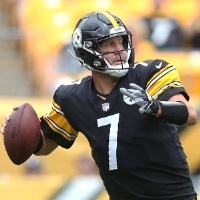 The Steelers enter the season with a future Hall of Fame quarterback in Ben Roethlisberger that should help the team mitigate Bell’s absence, a solid offensive line that is capable of opening holes for the ground attack, and help “Big Ben” connect with the Steelers’ skilled set of receivers, led by Antonio Brown and Juju-Smith Schuster. Defensively the Steelers must shut off all escape routes for Browns quarterback Tyrod Taylor in the passing game as he’s not elusive enough to get outside the pocket and buy time to make throws downfield. For Cleveland, the benefit of having a quarterback like Taylor is that he helps create spaces for the running game which is huge when a team has a backfield as deep as the Browns’, which features Carlos Hyde, Duke Johnson, and rookie Nick Chubb. The improved Browns offensive line could be a valuable asset that should help the team neutralize pressure on the quarterbacks this season. This should be a close game as the Browns are not as bad as most people think and the Steelers attack could struggle to get in rhythm without Bell. However, knowing that Roethlisberger is 21-2 in his career against the Browns, and Cleveland always finds new and ingenious ways to lose it’s perhaps too much to ask for a win in the opening game of the season. Look for the Steelers to win a close contest thanks to their opportunistic defense and Roethlisberger superb play.